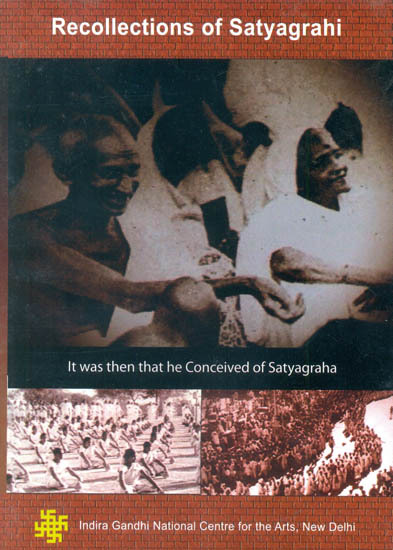 IGNCA has documented the film Recollection of Sathyagrahi under its Narivada Project. The film explores the exclusive interviews with Rama Rui, a freedom fighter and Head of Mahila Ashram, Wardha and Prabeena Ben, Geetao mandir, Pauanar Ashram. The film highlights the experiences, motivations, anecdotes and impression of these two women who participated in the Gandhi’s Satyagraha movement. It is interesting to note that the film records how South African Government did not recognize the traditional marriages and Bapu told this to Kasturba quoting the new law of the land that they were no more married. Kasturba became furious and said she would protest against the Government and they had no right to interfere in their lives and question their religious belief and practices. She went and mobilized the women who could go out and fight. From these Bapu got the idea Satyagraha and recognized Kasturba as her teacher. Likewise many anecdotes were explored through the rare interviews of Rama Rui as she takes us to memory lane of the freedom struggle.